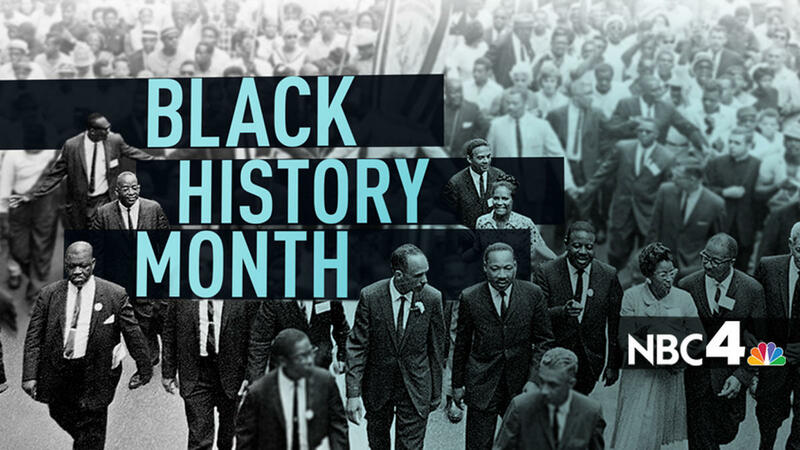 NBC WRC-TV 4 aired a Black History Month special on Sunday February 25, 2018. The program looked back on the 1968 riots in Washington, DC without an eye witness account. NBC WRC-TV 4 relied on third party accounts to tell our story and history. I was on the U Street corridor during the riots for 4 days. I was working as a Roving Leader (Youth Gang Task Force) for the Department of Parks & Recreation aka the DC Department of Recreation. There were no present day reporters working for news outlets in 1968. The stations were TV-4, TV-5, TV-7 and TV-9. The print media outlets like the Washington Post and the Evening Star had all white reporters and none dared to venture out into the inner-city for an eyewitness news report during the riots. Local television anchors/reporters Max Robinson, Jim Vance, Fred Thomas and Paul Berry were all hired after the fact. The eyewitnesses seen and heard on the NBC Special “April Up Rising” were nowhere to be found with the exception of Mayor Walter Washington. He spoke with me and my co-worker NFL Hall of Fame player Willie Wood at 7th T Streets. He told us that FBI Director J. Edgar Hoover wanted to shoot looters on sight. His response to him, “Not on my watch!” He earned our respect forever. The first modern day U.S. Marshall Luke C. Moore would join Willie and I and we would walk arm and arm down the U Street corridor. The first businesses owners we spotted were Ben’s Chili Bowl owner Ben Ali and John Snipes. They were standing in front of the bowl with several other residents. Snipes came over to talk with me and Willie and Luke went over to talk with Ben. Luke returned to tell us that Ben had received a call telling him to close his business. Luke was not a happy camper, he could not understand the order because there would be nowhere for the cops and military personnel to eat if all the restaurants were closed. He left us promising to return, in the meantime, I had been summoned to the 4th District Police HQ by my friend in community policing, Assistant Chief Tilmon O’Bryant. To my surprise he swore me in and gave me police badge and no gun. The badge was to assist me in getting through the police and military barricades being put into place around the city. I was not a happy camper with this idea, but Timon stroked my ego and send me on my way. Ben’s Chili Bowl was allowed to remain open because Luke called President Lyndon Johnson asking him to allow Ben’s to stay open to help with the feeding of the troops and cops. The President gave Luke the okay and he called the Chief of Police and had the order rescinded. Anything else is BS. I was out there for 4 days and I never saw Marion Barry, Congressman Fauntroy, Eleanor Holmes Norton, Petey Greene or anyone from Lee’s Flower Shop and no one from Industrial Bank on the U Street corridor during the riots. Snipes and Ben were always present. Ben’s Chili Bowl “Historian” Bernard Demczuk did not come to town until after the “April Uprising” but he is an expert on the black community? The rest of the “Usual Suspects” may have community ties, but they where nowhere to be found during the riots! Most emerged after the tear gas and smoke had cleared. I am not sure about the body count stats that were given–my count was three dead, one on Minnesota Ave. NE and two in NW DC. Another little known Black History Fact as it relates to the media: The television format for “7 On Your Side” was first heard first on W-U-S-T Radio. Former WJLA TV 7 anchorman Paul Berry got the idea and concept for the first ever television consumer help program in a guest appearance on Inside Sports. I piggy-backed off of my mentor the legendary radio and television icon, Petey Greene. In 1967-68 I was the sports voice of “Petey Greene’s Washington” heard on W-O-L Radio on Sunday evenings. Paul Berry made an appearance as a guest on my Inside Sports talk radio show in the early 80s. He was surprised by the number of phone calls I was receiving from my listeners asking me for advice and help. The problems would range from employment, politics, school, DC Superior Court Court, police harassment, sports, etc. The callers were all seeking my advice and assistance in these matters. One caller ask Paul for his advice relating to her boyfriend liking the Dallas Cowboys and she was a Redskin fan. She wanted to kick him to the curb. Paul took the 5th and she was not happy with his response. She then asked me if I was on her side and I said, “Lets see what the next caller has to say about that” and I took the next caller. After the show Paul asked me if the calls were like that every Saturday and I said, “Always.” He thought I should expand the show to another hour, but I was happy with the one hour time slot. He also tried to convince me to leave DC and go to a smaller market and come back to one of the major outlets here in DC. His advice went in one ear and out the other, there was no way I was leaving my home town of Washington, D. C. for parts unknown. Anyone who was someone would eventually find their way to the Nation’s Capitol and I was right. Two months later I turn to TV 7 NEWS and there was Paul with 7 On Your Side. He had convinced the management at the station to allow him to bring 7 On Your Side to the airwaves and the rest is television history. Now every local television media outlet in America has a 7 On Your Side or something similar. It all started in Washington, DC on Inside Sports. Paul became a big star in TV news and would spent decades in the news department winning several Emmy Awards. In the 90s in a contract dispute the station refused his salary demands and shown him the door never to be seen on local news again. Melvin Lindsey, Jim Vance and Dave Dupree attend “Kids In Trouble” toy benefit. The print, radio and television media personalities that came through Inside Sports and Kids In Trouble in there first ever reach back efforts in the community read like a who’s who in media. The list include, the late Jim Vance (TV 4), Fred Thomas (TV 7), Maureen Bunyan (TV 7), Paul Berry (TV 7), Lark McCathy (TV 5), James Brown (CBS), Cathy Hughes (TV One), Michael Wilbon (ESPN), Dave Aldridge (TNT), Melvin Lindsey (WHUR Radio), Donnie Simpson (WKYS/BET), Bill Rhoden (ESPN), Larry Fitzgerald (ESPN), sports personalities who turned TV personalities, John Thompson, Sugar Ray Leonard, Adrian Dantley, and Adrian Branch. The only trail blazer and media pioneer to escape my community and sports talk show programs was the great television pioneer Max Robinson (TV 7). Hey Buddy!, I found this information for you: "Fake News Report: NBC April Uprising by Harold Bell". Here is the website link: https://blackmeninamerica.com/fake-news-report-nbc-april-uprising-by-harold-bell/. Thank you.